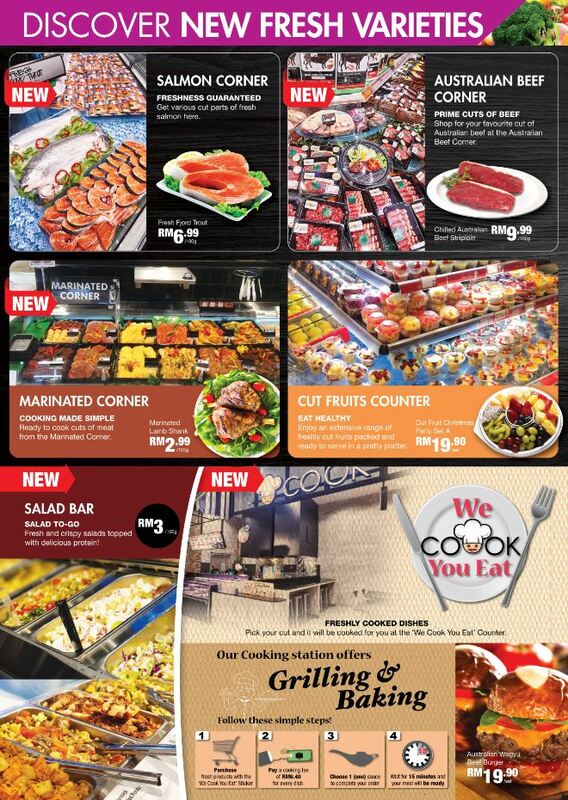 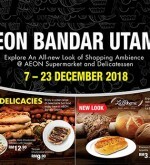 Explore an all-new look of shopping ambience @ Aeon Supermarket and Delicatessen. 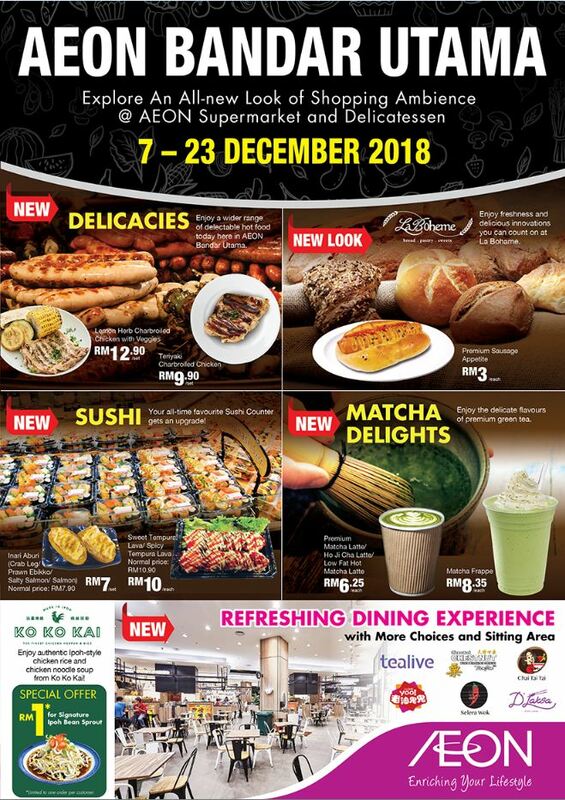 Discover NEW Delicacies & Fresh Varieties, NEW look of La Boheme Bakery, refreshing dining experience with more choices and sitting area, non-halal cafe and many more! 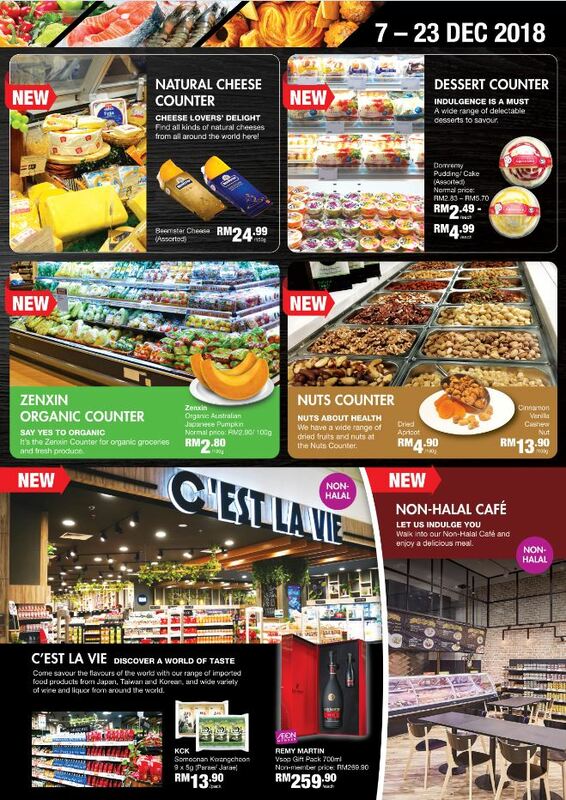 Lot great promotions await you!